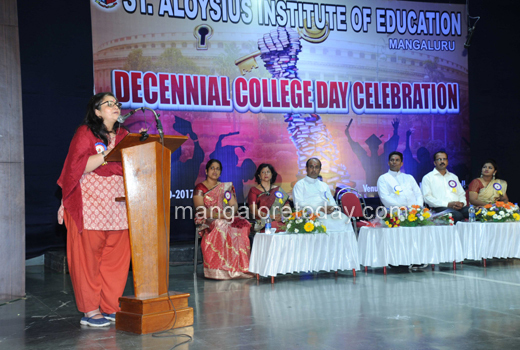 Mangaluru, Oct 25, 2017: Activist Teesta Setalvad, speaking at the decennial college day celebration at St. Aloysius High School, on October 24, Tuesday said there is a need to re-visit the Bhiwandi experiment of forming mohalla committees to prevent communal clashes especially during the election time. She stated that when the then Bombay was burning in communal clashes in 1992-93, its neighbouring Bhiwandi once known for communal clashes was calm. 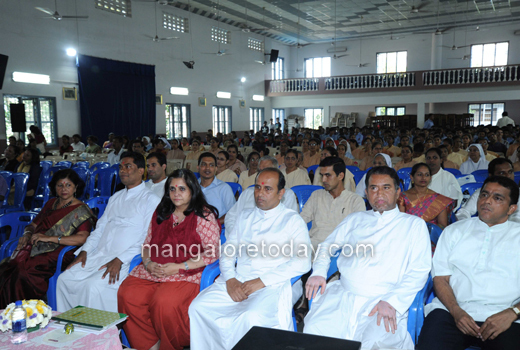 It was owing to forming mohalla committees by a police official named Suresh Khopade involving all community members. The committee members were in touch with police and administration on daily basis to prevent clashes. Whenever rumour mongering started and whenever the build up of conflict began the committee members came together and put “moral weight and pressure” on police and administration to observe peace and rule of law. It was especially so during the election time. She suggested that the same experiment should be emulated in other places. 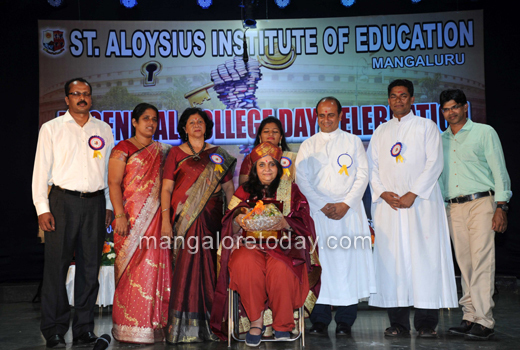 She suggested teachers to high light values of India Constitution for students to know.